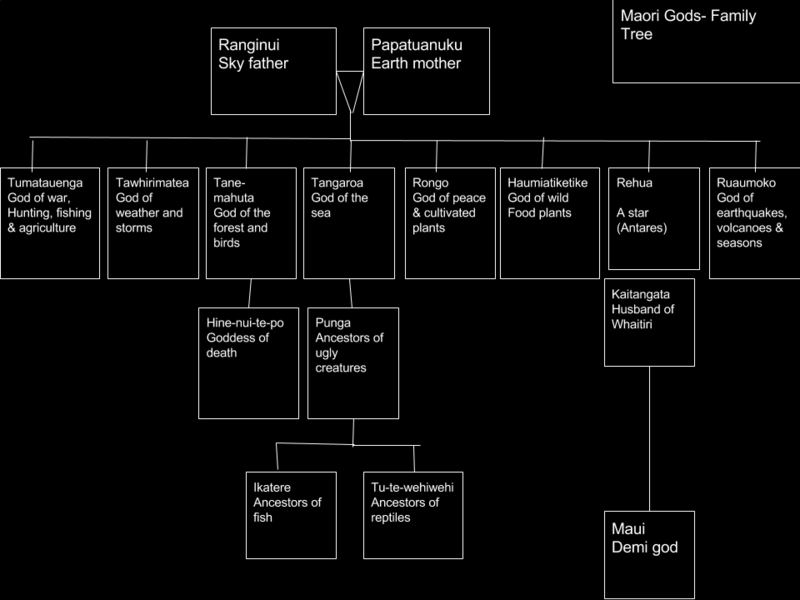 Maori god family tree: This family tree is about the Maori gods. 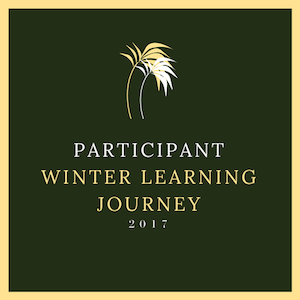 Tumatauenga, Tawhirimatea, Tane Mahuta, Tangaroa, Rongo, Haumiatiketike, Rehua, Ruaumoko, Hine-nui-te-po, Punga, Kaitangata, Ikatere, Tu-te wehiwehi and last but not least Maui. 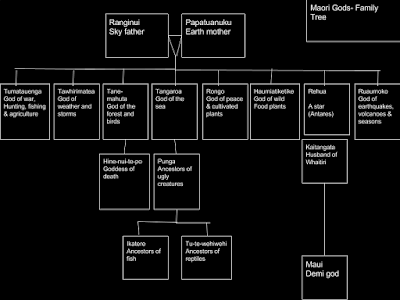 The parents of these children are Papatuanuku the earth mother and Ranginui the sky father.